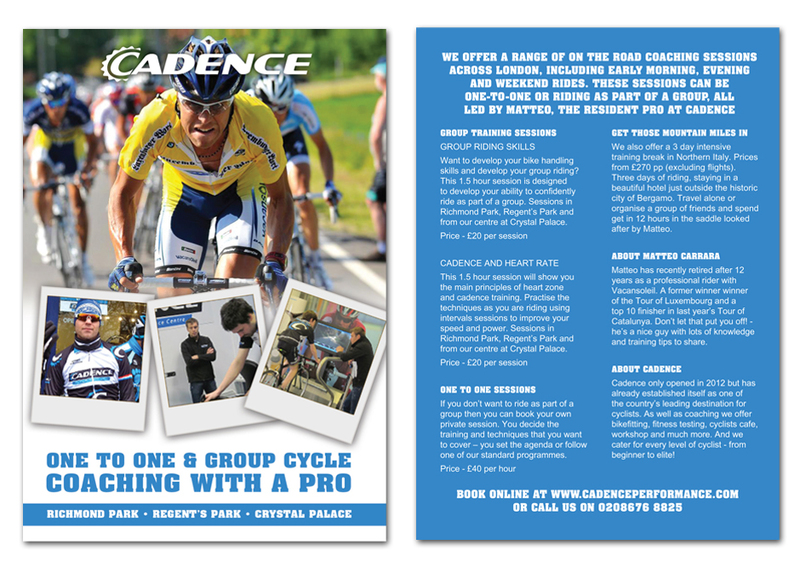 Cadence Cycling Performance Centre is a top end bike shop, bike fitting centre, high street chain coffee shop and performance coach all under one roof. 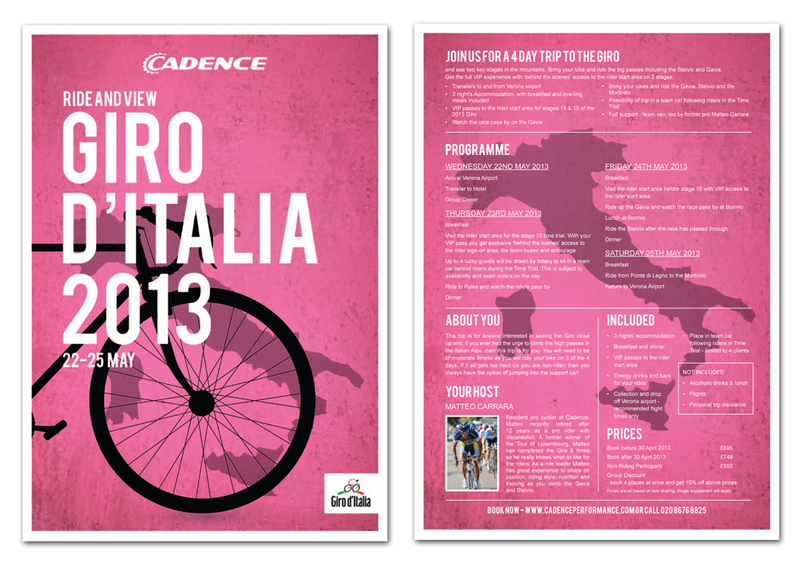 We were asked to create some promotional posters and leaflets for future events they were holding. 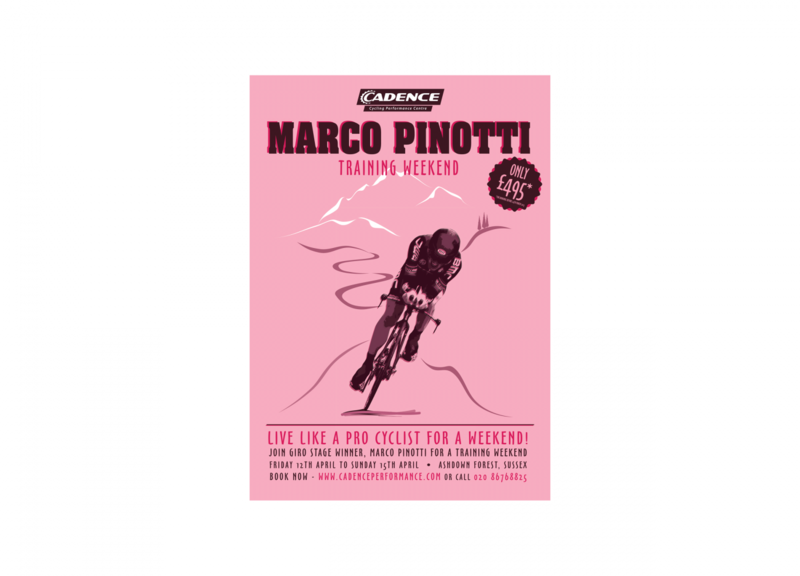 We designed some limited edition graphic styled litho prints with the distinctive pink style of Giro de Italia for the weekend trip and the Italian BMC pro rider Marco Pinotti training camp and also a promotional coaching leaflet for ex pro Matteo Carrara.